British Shorthairs are known for their mellow demeanors and teddy bear looks. Their most common coloration is the “British Blue” but many other variants have been developed. 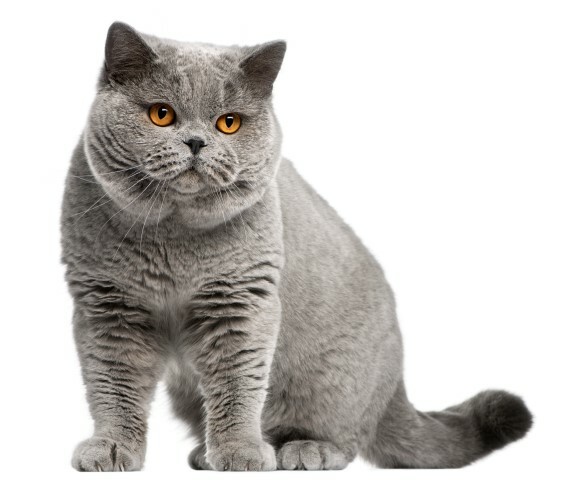 British Shorthairs are considered to be a very ancient breed and are believed to descend from Egyptian cats brought to Britain by invading Romans in the first century AD. They have a sturdy structure and dense coats, reflecting their humble beginnings as working cats who had to survive outdoors year-round. They have no breed-specific genetic diseases and are capable of peaceful relations with a variety of other pets including dogs, rabbits, and birds.